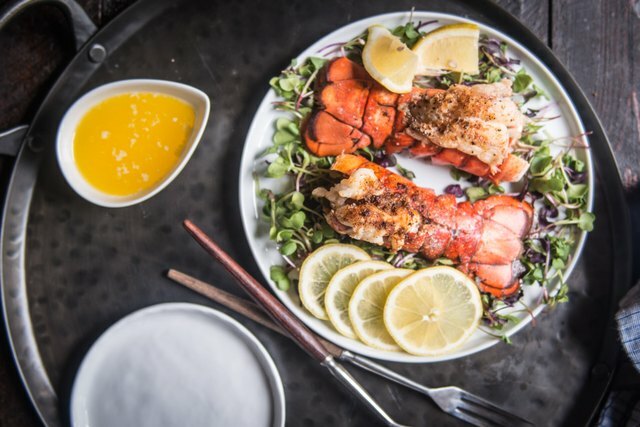 Is there another meal that's more decadent and indulgent than lobster? 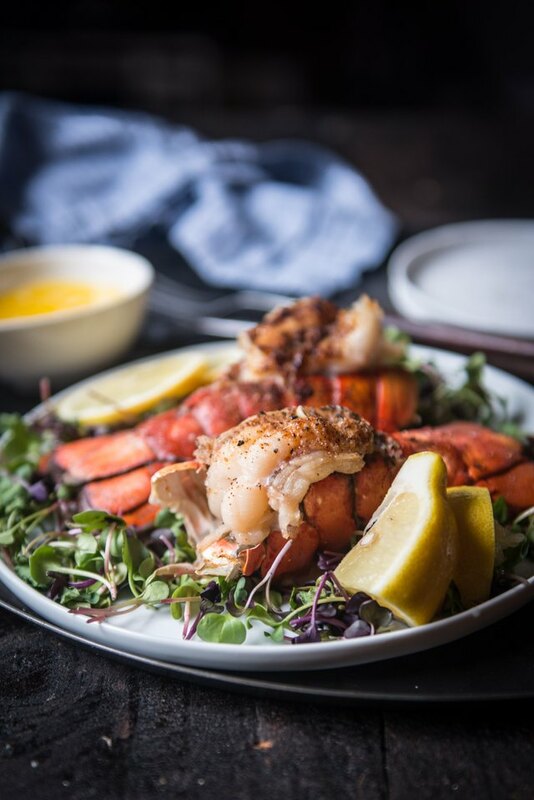 When you opt for the tails instead of the entire beast, you save yourself time and money (and in some cases, the personal trauma of cooking a live lobster). 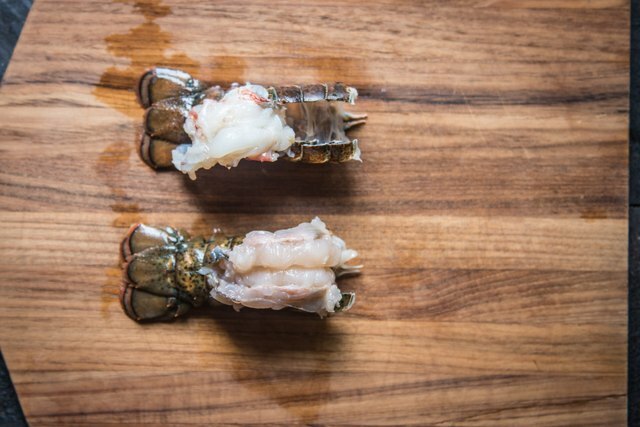 While cooking an entire lobster isn't for the faint of heart, the tails are simple, easy and foolproof. If you save this special meal for just you and your favorite person, it can also be really affordable. Serve it with a side of pasta, a simple risotto or with any of these side dishes and you've just made everyone very happy. Frozen can be best! 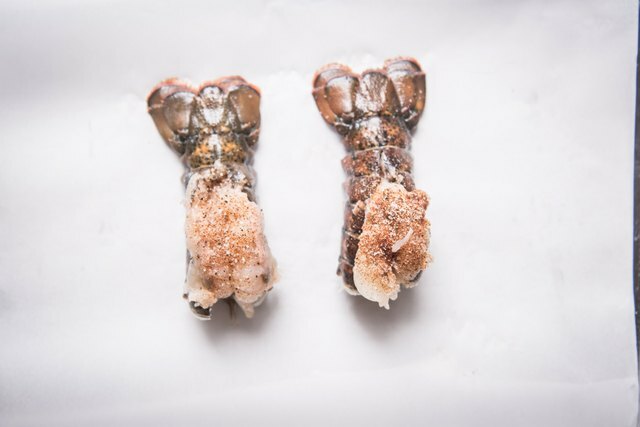 Unless you know for sure that the lobster is fresh from the sea very recently, and that it has never been frozen, it's best to opt for a tail that is still frozen. Most of what you see at your supermarket has previously been frozen, and it now sits thawed and aging for an undetermined amount of time. If you get one that is still frozen (which was most likely frozen very soon after being caught), you can cook it within hours of thawing, making it fresher in taste than the thawed ones from your grocery store. Cut the lobster down the center, lengthwise. Remove any grit, dirt or vein, if there is one. Pull the meat up and out of the shell, then lay it across the top of the tail. Mix together the salt, garlic powder, paprika and pepper, sprinkle it across the meat. 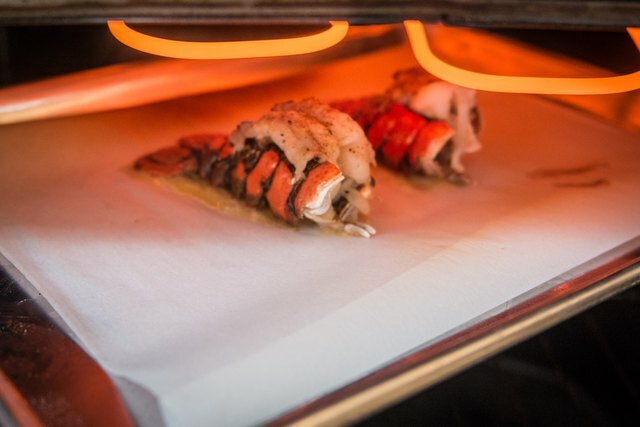 Add the lobster tails to a baking sheet or oven safe pan. 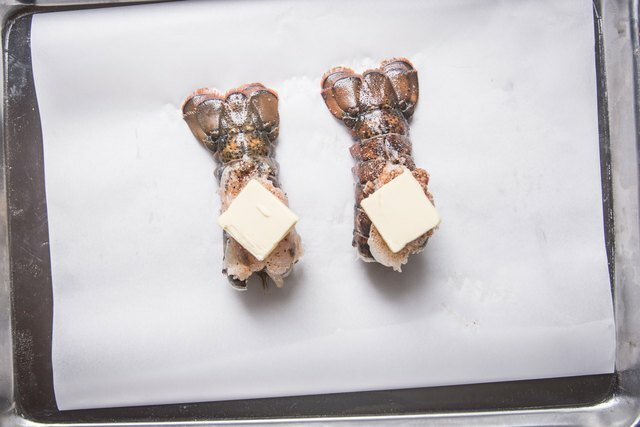 Add a pat of butter to the top of each lobster tail. Place under the broiler of your oven, with the door vented or open. Allow to broil for about 5 minutes or until the meat has turned white. 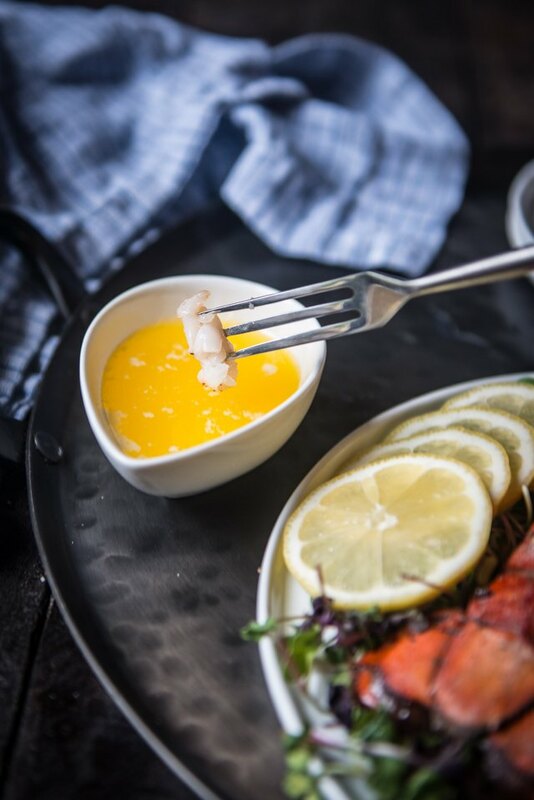 Squeeze the lemon over both of the tails. 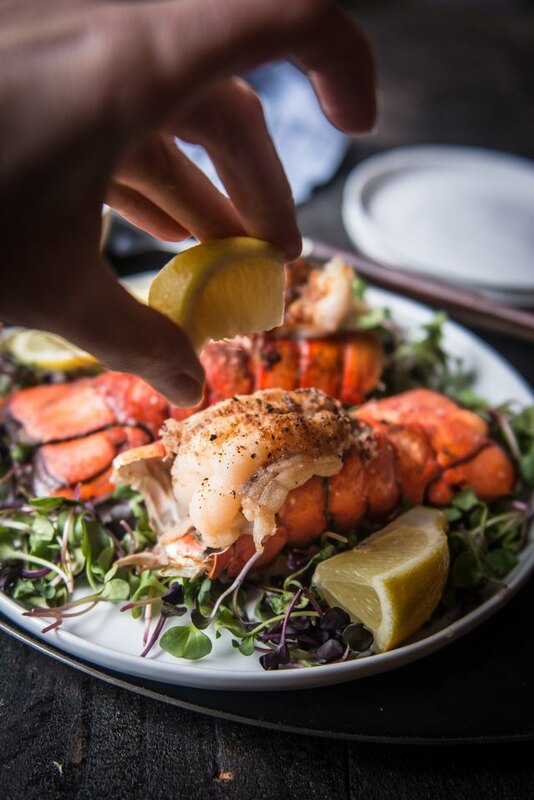 Serve lobster with melted butter on the side.